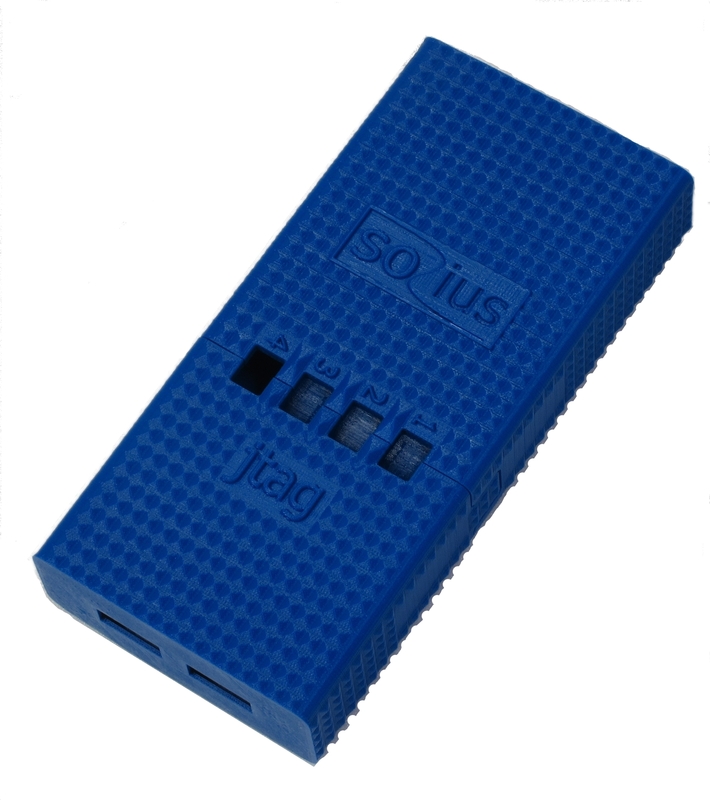 A socius development platform is a small, portable electronic device that can easily be powered exter- nal form a USB port, USB charger, Power Over Ethernet or a battery pack. 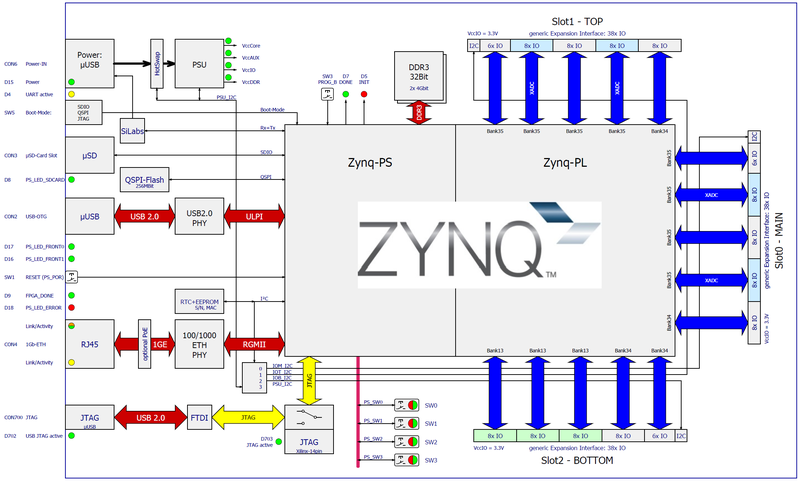 You can easily develop software and or digital elec- tronic for it, because it uses an FPGA with an embedded processors. 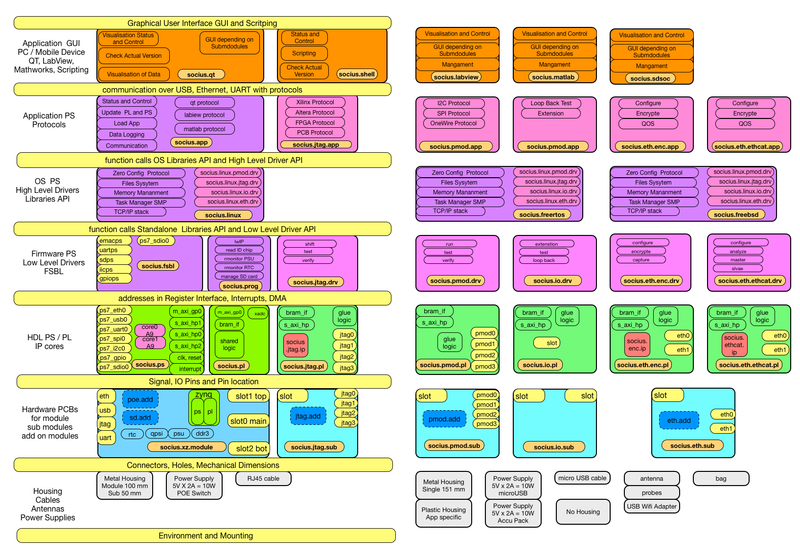 For many application 90% of the overall design is fixed and only 10% makes the di erences. 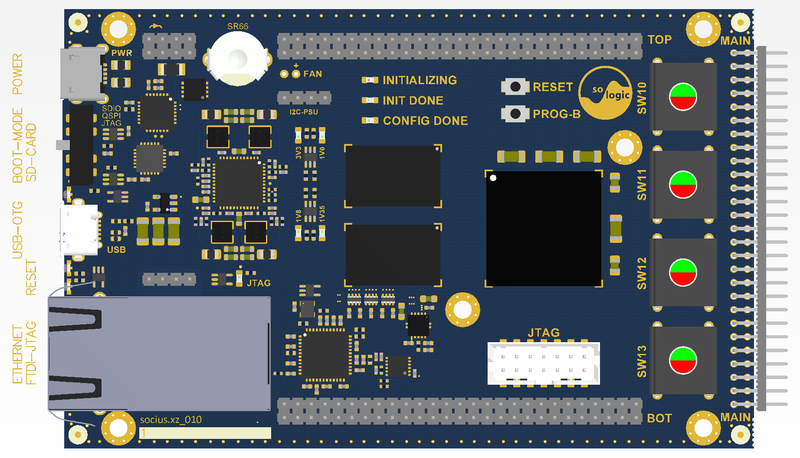 sozius delivers already a well-designed board should help you to focus on the di erentiation and that can be easily extended to your need. The main system with many interfaces and Linux is already preconfigured and ready for use. It should be easy to carry around for training and teaching. With expansion ports it is easily expandable to make it useful for many different kinds of application. You can select between many different kits that come already with additional modules, firmware and bit-stream. Select a socius kit which is basic system without any sub module, a fixed application like JTAG programmer or develop a sub module by our self You can select between many different kits that come already with additional modules, firmware and bit-stream.